This past weekend was an extremely hot weekend, with temperatures reaching to the mid-40’s (Celcius!). 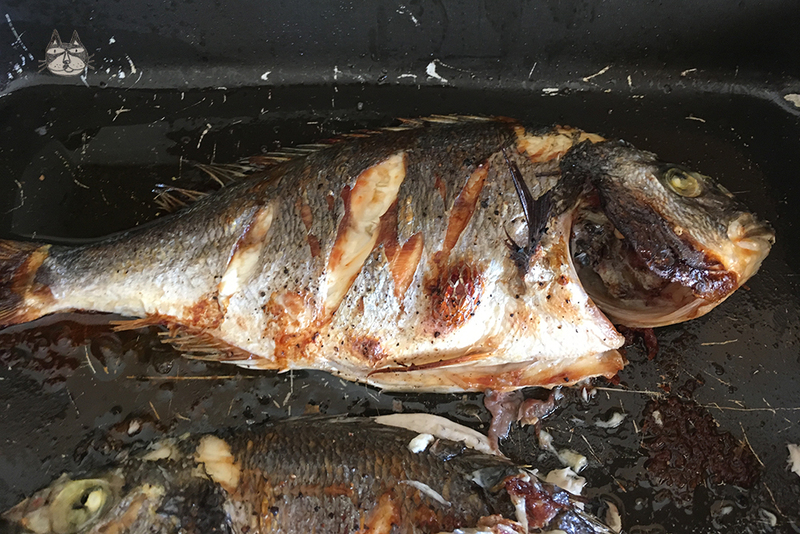 Husband bought us some fish, and as part of an East meets West table fare, I have decided to make an Asian recipe, and grill it the Greek way. Read about it here. Tsipoura is a Mediterranean fish, and its scientific name is Sparus Aurata. 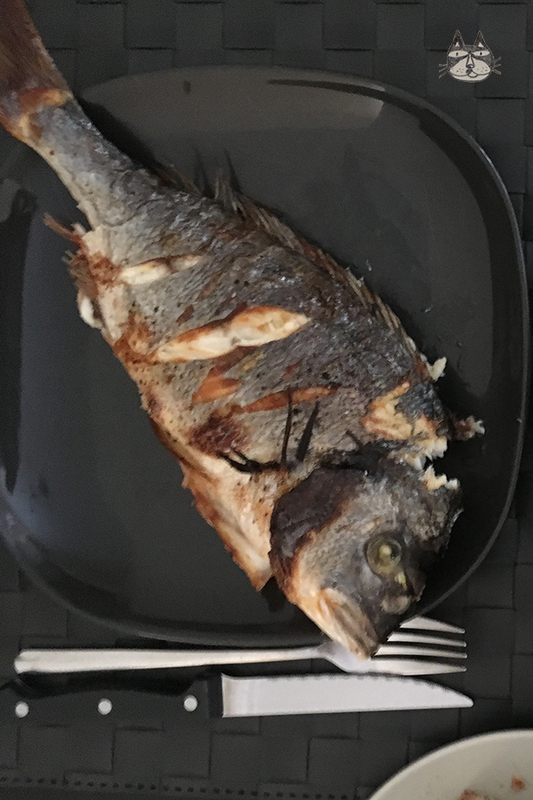 It is a light fish, yet sweet at the same time (flavour-wise), and has a light flaking texture. It is suitable for steaming, baking and grilling. 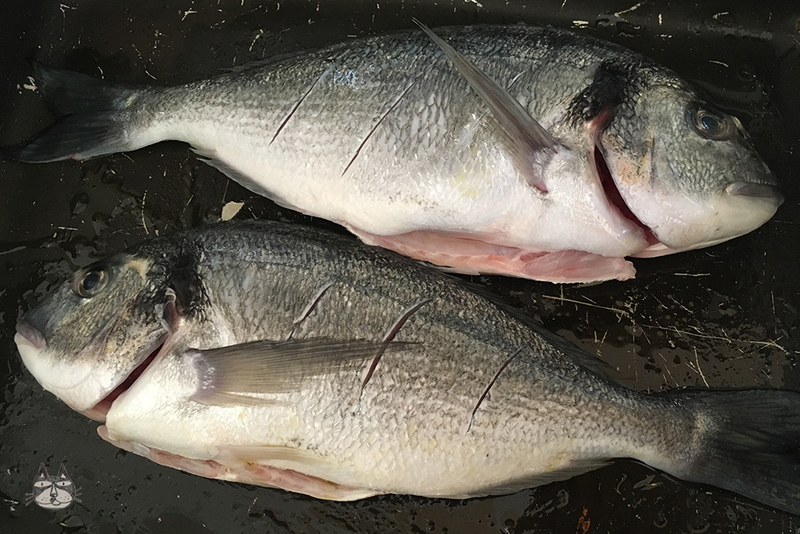 The tsipoura that husband bought was rather big – they were around 600g to 700g per fish. a few lemons, slice into squeezable quarters. To grill in the oven: lightly oil the fish, and season the fish (inside and out) with salt and pepper. Make an olive oil and lemon dressing by squeezing some lemon juice into a cup of olive oil and mix thoroughly. 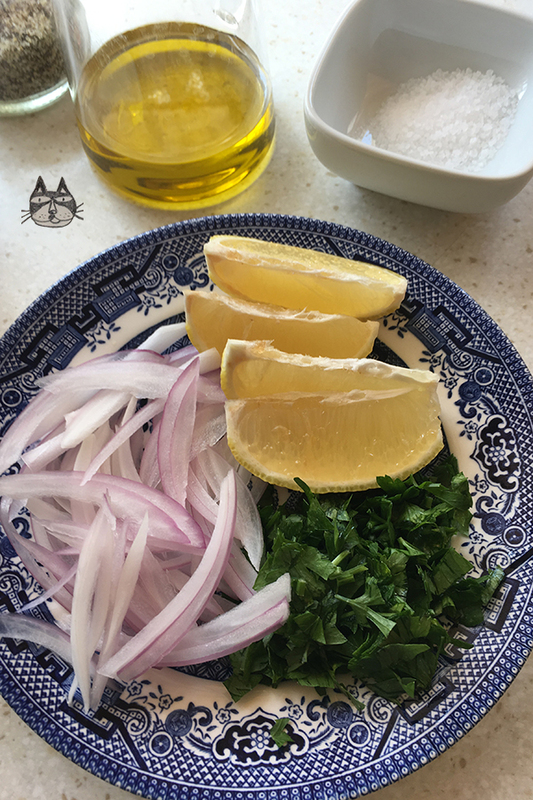 Serve, and garnish with the onions, parsley and olive oil lemon dressing according to taste.